The Buffalo Bills are nearing their limit of permitted pre-draft visits. To date, 27 prospects have reportedly made their way through One Bills Drive. That means the team potentially has three more visits before hitting the maximum. None of the visits have been confirmed by the Bills. Wednesday is the final day prospects can visit teams at their facility. It’s possible that this year’s number of pre-draft visits could be higher, if the meeting was never made public. Last year, for example, the Bills selected linebacker Tremaine Edmunds in the first round. It was revealed after the pick was made that Edmunds made a pre-draft visit, but he was not among the reported 24 visitors prior to the draft. Quarterback Josh Allen also made a pre-draft visit last year, meaning the Bills met with their two first-round picks. None of the team’s other selections made visits that were reported before the draft. Offensive tackles (3): Tytus Howard, Jawaan Taylor, Greg Little. Running back (1): Darrell Henderson. Wide receivers (4): D.K. Metcalf, A.J. Brown, Deebo Samuel, N’Keal Harry. Tight ends (2): Jace Sternberger, Trevon Wesco. Defensive ends/edge rushers (6): Rashan Gary, Brian Burns, Montez Sweat, Maxx Crosby, Jaylon Ferguson, Josh Allen. Defensive tackles (3): Quinnen Williams, Ed Oliver, Khalen Saunders. Cornerbacks (3): Joejuan Williams, Sean Bunting, Hamp Cheevers. Safeties (2): Juan Thornhill, Chauncey Gardner-Johnson. 1. There’s a good chance this year’s first-round pick will have made a pre-draft visit. 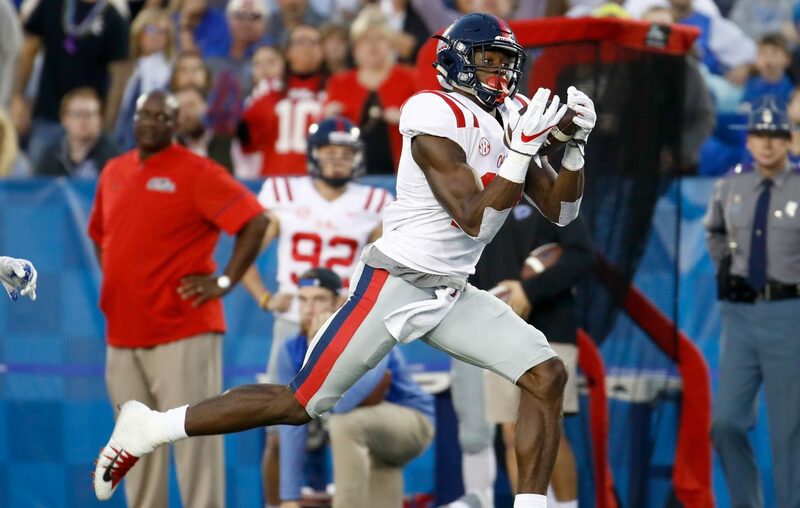 Of the 27 prospects who have come through so far, eight are viewed as locks to be taken in the first round – Taylor, Metcalf, Gary, Burns, Sweat, Allen, Williams and Oliver. Most prognosticators have Harry, Brown and Little being second-round picks, but it’s possible any of them could sneak into the first round. 2. Last year, the Bills were in the quarterback market, hosting not just Allen, but Baker Mayfield, Mason Rudolph and Josh Rosen. The team also hosted a private workout with Sam Darnold. This year, the position with the most reported visitors is edge rusher. Unless they move up, there’s basically no chance former Kentucky standout Josh Allen will be available when the Bills pick at No. 9. Burns, Sweat and Gary could be there, though. 3. Allen isn’t the only projected top-five pick to visit. Williams is unlikely to last until the ninth pick, meaning the Bills would have to trade up for him. 4. Surprise No. 1: Only two tight ends on the list. Given the strength of this year’s class and the Bills’ need at the position, it’s interesting that only two tight ends reportedly have visited. 5. Surprise No. 2: Two safeties on the list. Both Thornhill and Gardner-Johnson are projected to go in the second or third round. With Micah Hyde and Jordan Poyer set as the Bills’ starting safeties, it would not seem likely that the team would use a top-100 draft pick on the position. 6. Surprise No. 3: Just one running back on the list. It seems like a sure bet that the Bills will take a running back on the third day of the draft. The only running back to visit so far, Henderson, isn’t expected to last that long. 7. Wide receiver at in the second round looks like a possibility. Harry, Brown and Samuel are projected to be chosen there in most mock drafts. Metcalf, on the other hand, doesn’t figure to make it out of the first round. Metcalf and Harry are more outside receivers, while Brown and Samuel project as slot receivers. 8. Last year, the Bills used one pre-draft visit on a player they would sign as an undrafted free agent – LSU linebacker Corey Thompson. He started the season on the practice squad before getting promoted to the 53-man roster late in the year. Two players on this year’s visit list could be in a similar situation – West Virginia tight end Trevon Wesco and Boston College cornerback Hamp Cheevers are considered fringe draft prospects. If they’re not chosen, it wouldn’t be a surprise to see the Bills pursue them as free agents. 9. Despite signing six offensive linemen in free agency, the Bills are doing their due diligence up front. All five of the linemen who have visited are projected to be chosen in the first three rounds of the draft, although Taylor is likely the only first-rounder. 10. 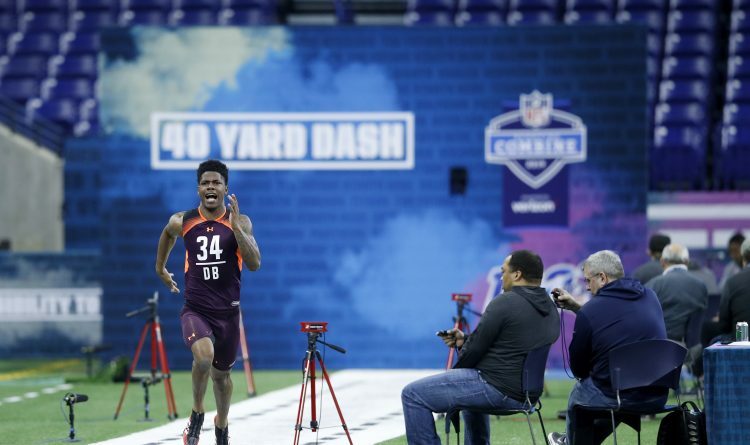 Four Penn State prospects – running back Miles Sanders, wide receiver DeAndre Thompkins, defensive end Shareef Miller and cornerback Amani Oruwariye – do not count against the Bills’ official 30 visitors because the school is in the Bills’ geographic territory. The same goes for UB prospects like quarterback Tyree Jackson, wide receiver Anthony Johnson and linebacker Khalil Hodge.